So I finally got a break to sit down and write a blog. Life has been busy with lots of good things going on, but I've still been able to get in some fishing. It's a New Year, and that means ice fishing. 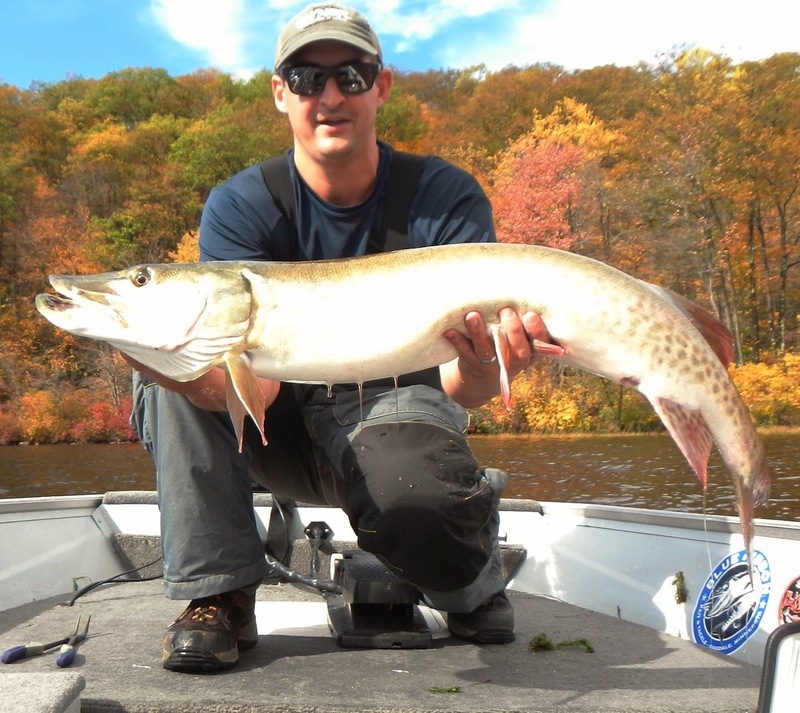 After a stellar start to fall musky fishing, it was a quiet finish to 2014. 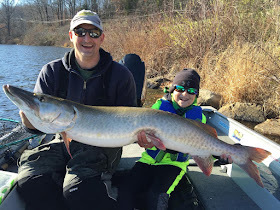 The last two muskies I hooked both came unglued, and trips got a fewer and further between as work, school and the holidays made life a lot busier. 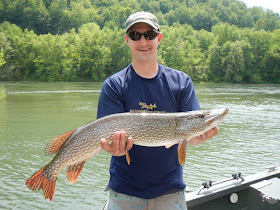 Matt and I were supposed to be fishing the Allegheny River for muskies in Western, PA this past week. Unfortunately, however, the cold snap forced our guide to call the trip as some of his spots iced-up and he became concerned for the safety of the muskies in the bitter cold. Since Matt and I still had our hearts set on fishing, and both had time off from work, we decided to pound the ice here in Northern New Jersey and get 2015 started off on the right foot. 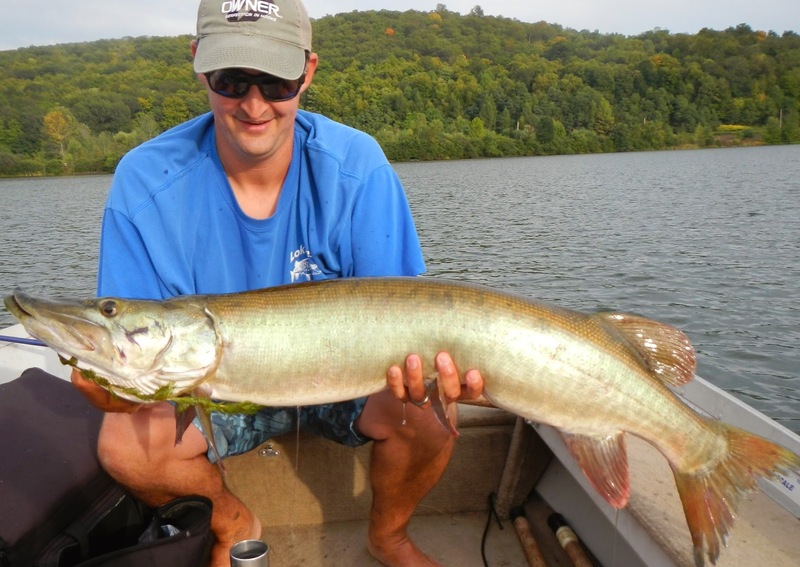 Life has been busy and it's been tough keeping up with the blog, but here are the muskies that have hit the net since my last post. Weather: Overcast to mostly cloudy. Calm wind to variable at 3mph, S at 6mph and W at 3mph. 65-76 degrees. Moon: Waning, 3 days before new. Overhead 10:57am. Set 5:32pm. Big fish don't show-up every day. Sometimes they don't even show-up every year, or longer. The hope is that when they do, you don't make any mistakes and luck is on your side. And today things went my way -- thanks to the help of my good friend Matt. To be fair, there was a very good chance this fish could have belonged to Matt, but being the unselfish person that he is, and someone who takes a genuine joy out of seeing other people catch fish, Matt insisted I take the front his boat when I met him at the launch that morning. 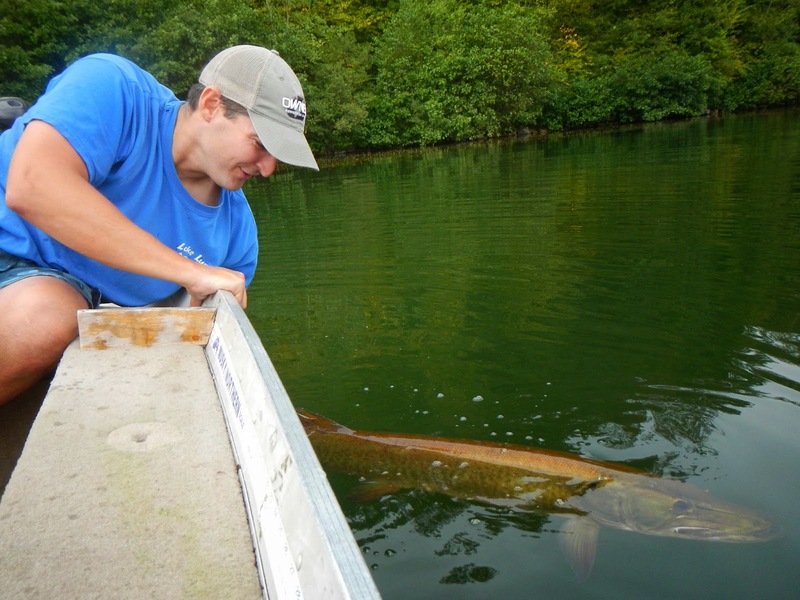 With every good fish, there is a good fish story, and this was no exception. I had mentioned to Matt early in the day that my next fish would be a special one. 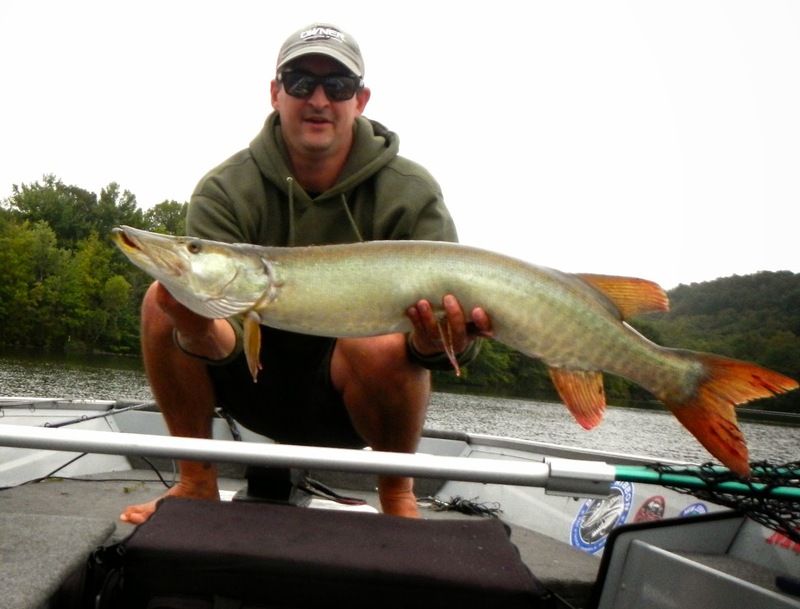 At the beginning of the year I set a personal goal to catch 20 muskies in 2014, and I was now at 19. I also told him it would be nice to catch a "kicker" fish in New Jersey. 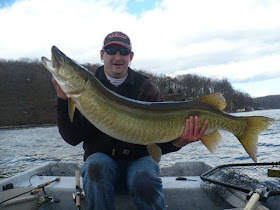 I boated a behemoth on Lake St. Clair in July, but in the back of my mind I thought it'd be pretty cool to add a 46+ NJ musky by the end of the year to cap-off the wonderful season I've been having. I honestly did not think I would hit those two marks in the same day. A couple hours after we launched, I was throwing a brand new glider that I had just received from Jack Cobb in Charleston, WV. 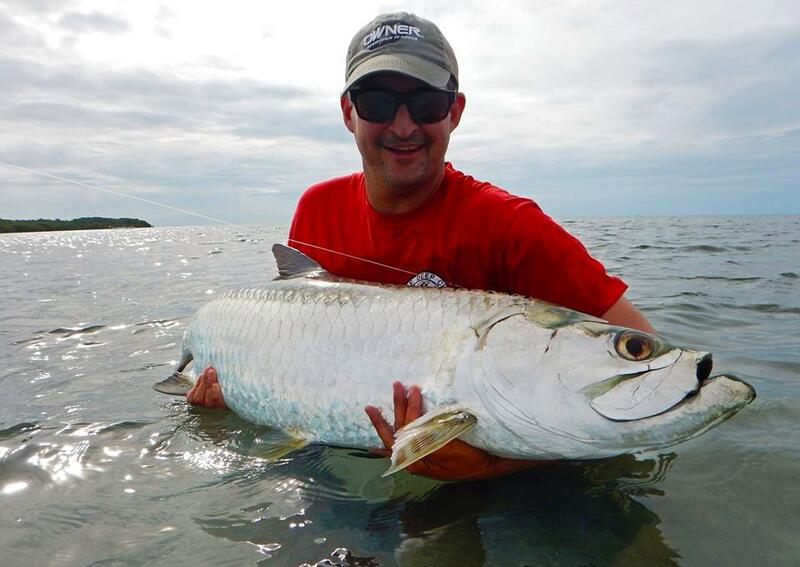 I immediately fell in love with the action of the big 10-inch jerkbait, but as we approached a good-looking spot, I knew something was wrong. There was no weight on the end of my line. Matt had told me on two occasions that his Stay-Lok snaps have opened and he lost a of couple baits because of it. It had yet to happen to me, until today. My brand new Cobb was gone. We took a look on top of the weeds to see if it was there, but it was not. I didn't want to let the loss ruin my day, so I jokingly said to Matt, "well I lost a $35 bait, let's see if I can lose a $150 bait." I had gotten a Novak glider awhile back in exchange for a rain jacket I wasn't using. I'm pretty sure these lures are collectors items and most people hang them on their wall or put them in their office to look pretty. I clipped on the Novak, and three casts later I see a white flash break the surface next to my lure. Matt didn't get a good look, and since it wasn't a huge splash he said something about it being a bass. But I knew from the belly that it was a 'ski. I continued to work the bait intently, and after a few more twitches, she came back and crushed it. 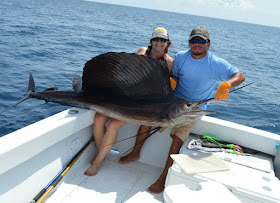 The fish didn't put up too much of a fight, and I had no idea how big it was until we got her in the net. When we saw the head on the fish, Matt said, "I think you got your 46." I did have my 46...and two and a half inches more. After unhooking the fish, we took a few pics, measured here at 48.5-inches and I spent some very enjoyable moments next to the boat with the giant musky as I waited for her to swim away. Then we started hooting' and hollerin'. We moved a few other fish during the day, and a few hours later I caught another nice fish. This one measured 41.5 inches. One of my other goals for the year was to have 10 fish break the 40-inch mark, and this was the 16th that met or surpassed. 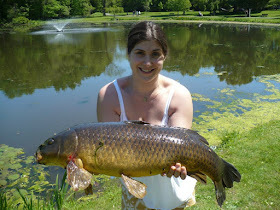 It was also my second consecutive two-fish day, and only my third two-fish day in New Jersey. One thing I want to mention, and maybe a lesson for anyone starting out musky fishing: the big fish I caught today took a swing at my lure and missed. When I was a less experienced musky angler, I would have immediately reeled the bait back-in and fired another cast out. Today I know that is the wrong way to do things. Very wrong. 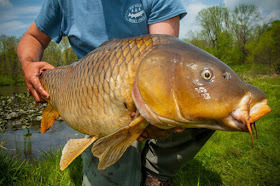 If you even think there is a fish near your lure, especially if you think it bumped your lure, DO NOT take the bait out of the water until you are absolutely certain the fish is gone. That mistake cost me a couple fish over the last two years, but today I made sure I kept working the bait intently after the fish initially missed it. And this time I was successful. Another thing I want to mention is how cool it was to enjoy a day like this with Matt. Matt took me musky fishing on many occasions before I had my own boat, and the knowledge I obtained from watching him is invaluable. I credit Matt with teaching me a lot of what I know about musky fishing, so to be with him on a day like this is pretty special. Note: Jack Cobb, legendary baitmaker and native West Virginian who was mentioned in this blog, died a few days after this fishing trip. I wish I had fished more of his baits and known more about him while he was alive, but from what I've read and from the 20 casts I took with his lure -- it is enough to let me know the musky world has lost a true treasure. 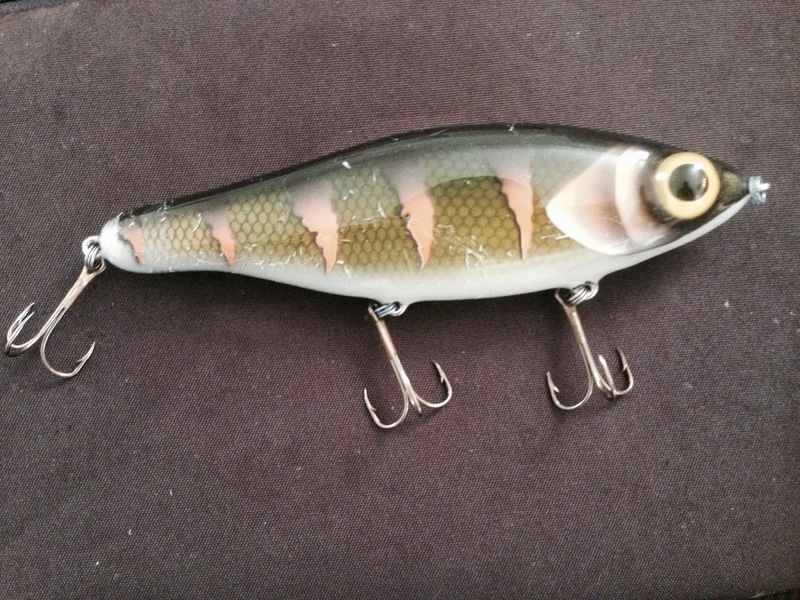 I was able to find a couple more of his baits online, and I can't help but think the one sitting on the bottom of the lake is there so that there will always be a part of Jack Cobb here in New Jersey. Weather: Cloudy. S to SW wind up to 10mph and gusting to 18mph. 68 degrees warmed to 80. Relative Humidity: 70 to 80% all day. Moon: Waning, 3 days after full. Set 9:32am, Underfoot 3:15pm, Rise 8:50pm. Water Conditions: Good clarity and weed growth. Temps between 70 and 71 degrees. 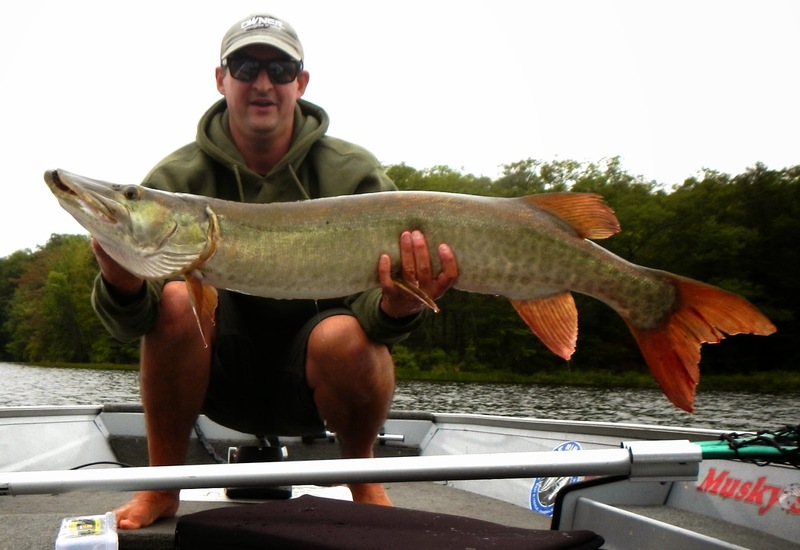 You can never really tell when fish are going to bite, especially muskies. But, there are times when you can take a pretty good guess. When I saw Thursday's weather report at the beginning of the week, I was chomping at the bit. 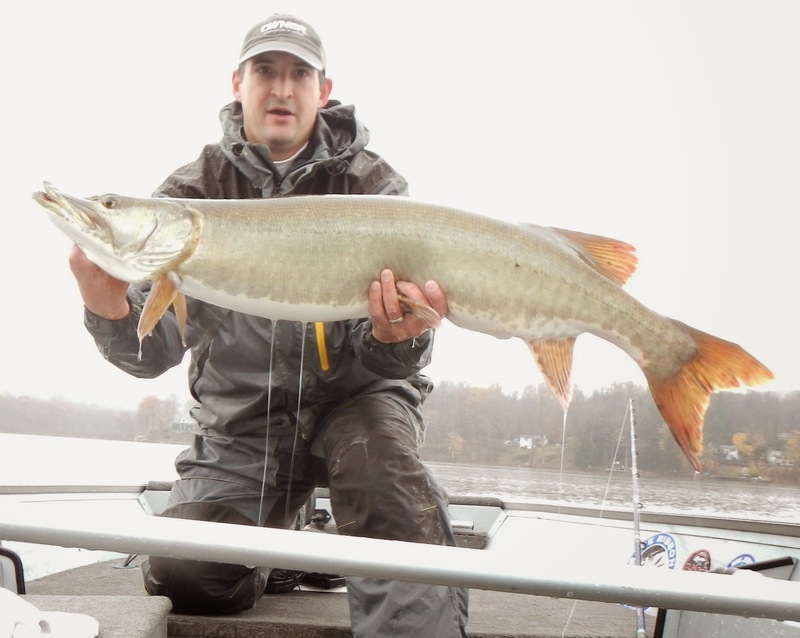 With an approaching front and plenty of cloud cover, the day had all the earmarks of the kind of conditions I associate with good musky fishing. You can never be too confident, but I had it in the back of my mind as I was launching my boat that I had a decent shot at boating more than one fish. I was supposed to have some company, but things happen and it was just me. Nevertheless, it's enjoyable to fish alone sometimes. I had the lake to myself when I launched, and I began casting bucktails in complete solitude. On the third cast, I felt a bump and I knew it was not a weed. 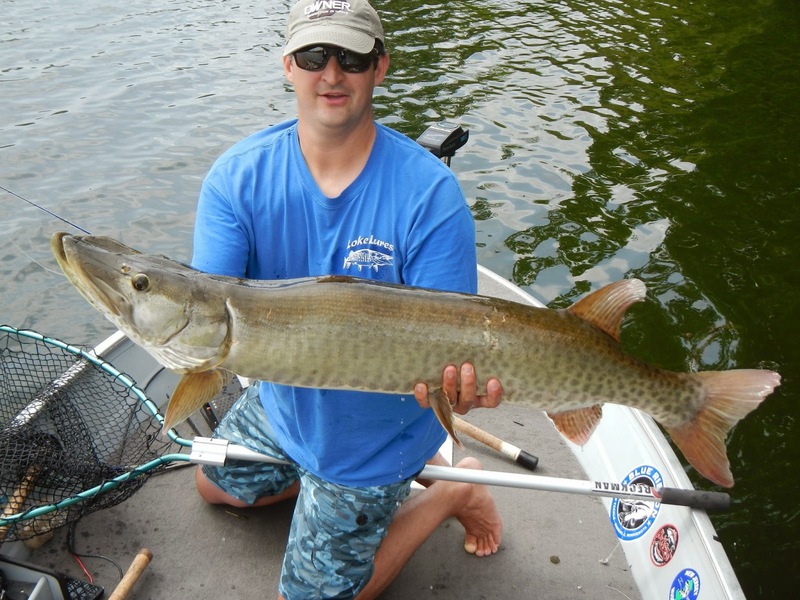 As my bucktail reached the boat, sure enough there was a musky behind it, but it turned away. That would be all the action I'd have for a few hours, but the next sign of life was a little more exciting. I was fishing the same area where I got the bump earlier, and this time the bump was a solid strike and a hook-up. For anyone who has never attempted fighting and netting a musky by yourself, it's tricky, and takes quite a bit of practice. I still have not perfected it, and to be honest, it's a miracle the fish actually made it into the net. My first attempt got the bucktail stuck on the outside, and I had to flip the net over to scoop-up the fish. After unhooking her, I placed my camera/tripod on the back deck, set the timer, posed with the fish and hoped for the best before letting it go. 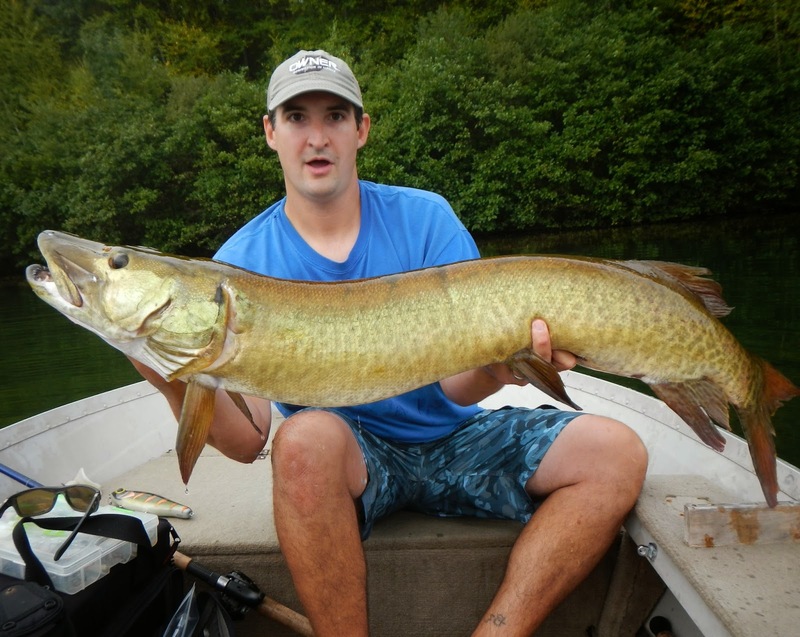 I got a quick measure of 41-inches, and sent the musky on its way. I immediately knew this was a better fish, and it was putting up a good fight. I got it to the boat in short order and had moved the net close by so I could deploy it once the fish was close enough. When the fish was boatside I reached for the net...which was now entangled in my trusty rod holder. My rod holder is for trolling. Did I mention that I never troll? And because of this, I never use the rod holder. Well, except for entangling my net, that is. As I worked to free the net, the fish dove under the boat and I had to set the net back down. When I got the fish back to the surface, the net was tangled again. This time, it was even worse. 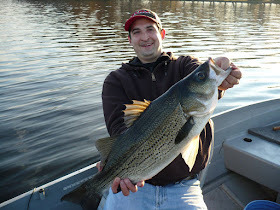 But the story had a happy ending, and fish Number Two measured 44.5-inches, my largest New Jersey fish of the year so far. Now I was really stoked, and started having thoughts of a three-fish day. But all was quiet after that. I left the lake a few hours later, having had one of my life's most memorable days on the water. When I got back to the ramp, my buddy Brian was there taking his boat out of the water. He got a great deal on a rod holder. 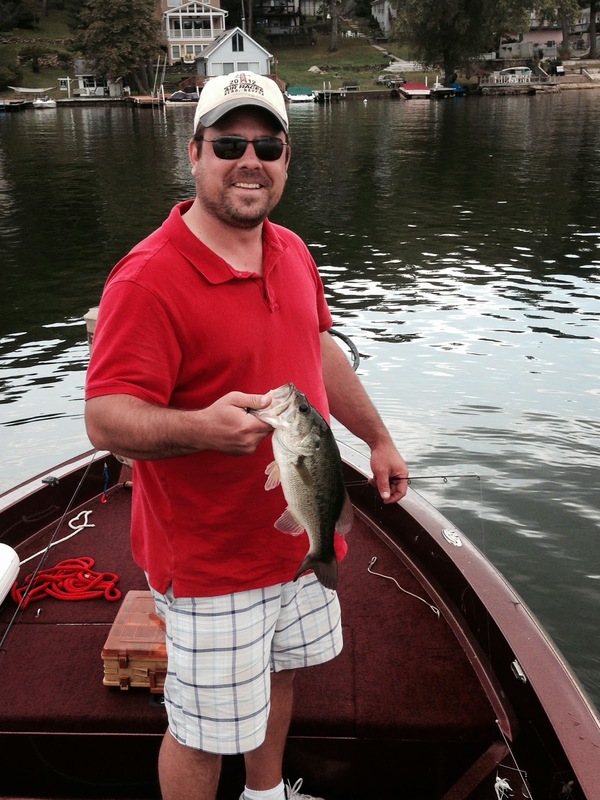 Mike A. with a nice bass. 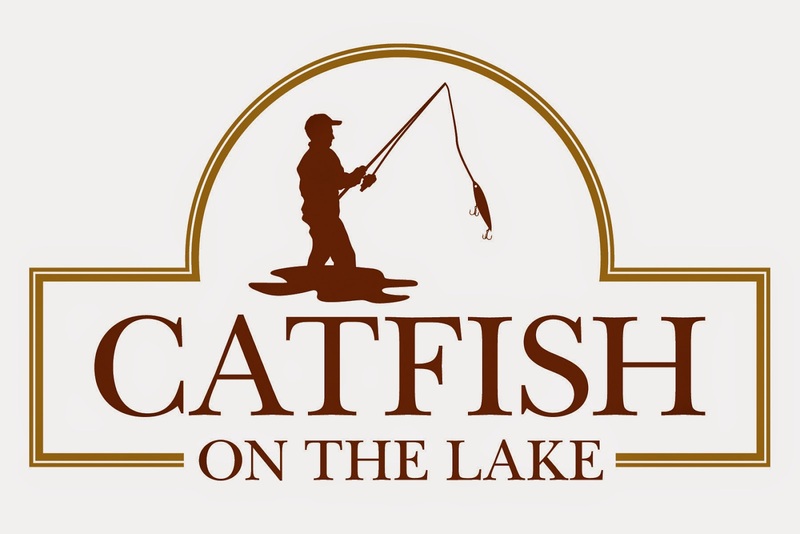 What: Fishing with Mike A. Weather: Mostly sunny, bluebird skies with some clouds in the afternoon. 59 degrees warmed to 76, winds calm to variable to NE at 5 and SW at 5. Barometric Pressure: 30.14in fell slightly to 30.08 in the afternoon. Moon: Waning, 2 days after full. Set 8:21am, Underfoot 2:21pm. Water Conditions: Good clarity, temp n/a, healthy weeds. Life has been a little busy, and although it's a good busy, I've been a little slow in getting reports up. Mike is my closest and longest childhood friend, and although life took us in different directions, we reconnected about a year or so ago when he was looking to move from Hoboken to Lake Hopatcong. I hadn't seen Mike in a couple years when we sat down for babaganoush at Ali Baba's last summer and it was good to get caught-up. Lately, we've been doing a lot more catching up. I've made the trip to Hopatcong a few times since he landed at The Big Lake and been lucky enough to watch him do something remarkable - get his Dad's Ranger cleaned-up and running. There's no doubt in my mind that Mr. A is looking down and smiling now that it's getting some consistent use again. But Mike and I still hadn't done any fishing together in probably 15 years and that was too long. We finally pinned down a day and when I met him at Lee's at 6am on Wednesday, the boat was already in the water and Mike was ready to go. Weather conditions were not what I considered optimal for fishing, but we sure gave it hell. Between what Mike had already figured out on the lake and the couple spots I showed him, he put together a bag that probably would've won a tournament had there been one. 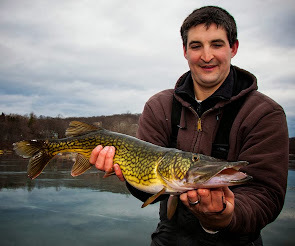 The only thing that found the hooks of my musky lures was a kamikaze pickerel, and since I hadn't caught a fish in a couple weeks, I was happy to have it. We kept at it for awhile, but as conditions seemed to be improving, I had to head to class. This was one of the cooler fishing experiences I've had in awhile. Mike did an amazing job with his father's boat, and it is in stellar condition, despite possibly being older than I am, or at least pretty close. Most of all, it was nice to finally wet a line with my buddy again. I think we'll be doing that plenty more times. Weather: Bluebird skies, wind calm to variable and SE at 3mph. High close to 80. Moon: Waxing, 4 days after new. Rise 10:12am. Overhead 3:55pm. Set 9:31pm. Not too much to tell today. It was a great day to be fishing, but not to be catching fish. I managed to hook and lose a small musky early in the day and move a couple others, but by all means the action was near non-existent. Still, Cal and I had a blast. We had some good laughs, ate some of the best tomatoes I've ever eaten, tried to find a missing fishing rod on the bottom of the lake and I even got to watch Cal jump into the drink. We did our best to try different lures, different depths, tactics, location, colors, blah, blah, blah, but when I see high blue skies and high pressure, my expectations are low. 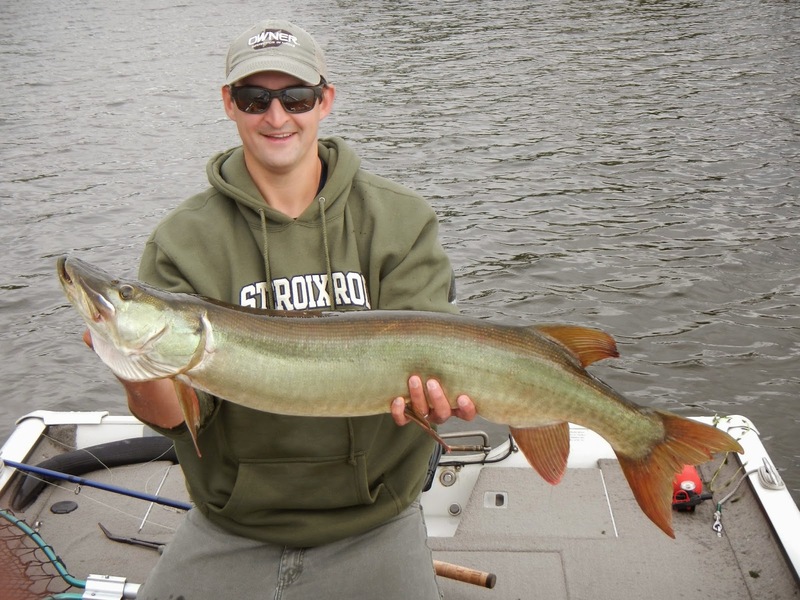 There are exceptions to every rule and you really never know when a musky is going to bite, but the law of averages had the odds stacked against us. Regardless, the best time to go fishing is always whenever you can, and it's always good to have some good company when the fishing is slow. 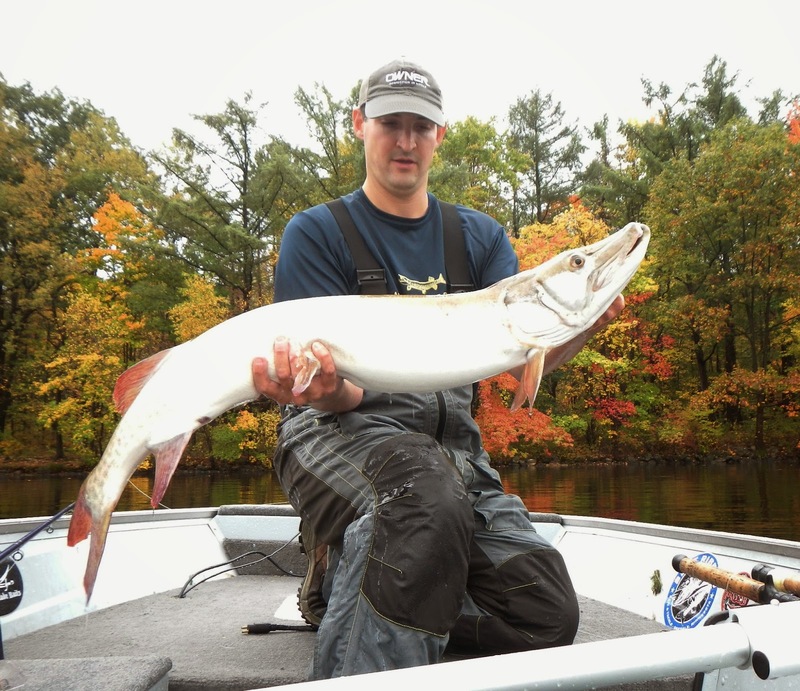 A healthy 44-inch musky to kick off the "fall" season. Weather: Party sunny to overcast with some rain around, storms later. Wind calm to variable at 3mph and SW to 7mph. 66 degrees at sun-up, warmed to the low 80s. Relative Humidity: Low of 47%, but much higher all day. Moon: Waning, 4 days before new. Overhead 10:03am. Set 5:17pm. Water Conditions: Good clarity, surface temps 74 degrees at sun-up, warmed to 77. 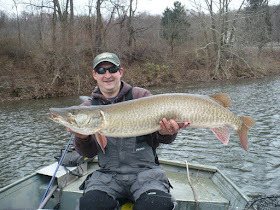 When I woke up on Thursday morning to meet Paul, I had not caught a musky in New Jersey since June 30th. 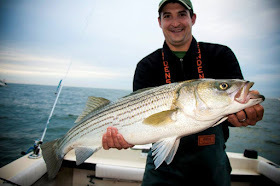 There are a lot of reasons for that, mainly that I was tarpon fishing in Key West and musky fishing on Lake St. Clair in Michigan and the Allegheny River in Northwestern PA, but the times in between it was often just too hot here in NJ. 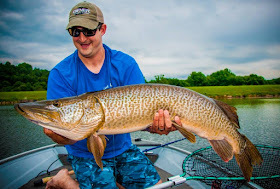 I've said this before, but aside from the risks that come along with safely releasing a muskellunge in water temperatures that are over 80 degrees, it just not fun casting huge baits for hours on end in 85- to 90-degree heat. And although we're still gonna have some 80-degree days, all one needs to do is walk outside to notice it's a lot cooler in New Jersey. Water temps are coming down with brisk overnight lows, and as far as I'm concerned it may as well be the end of December. And the muskies seem to be responding. I had not seen Paul in many years, and we've been trying to find a time to go fishing for awhile. It just so happened that things worked out on Thursday and he was off work. We put in our time on the water, and moved a bunch fish throughout the morning. 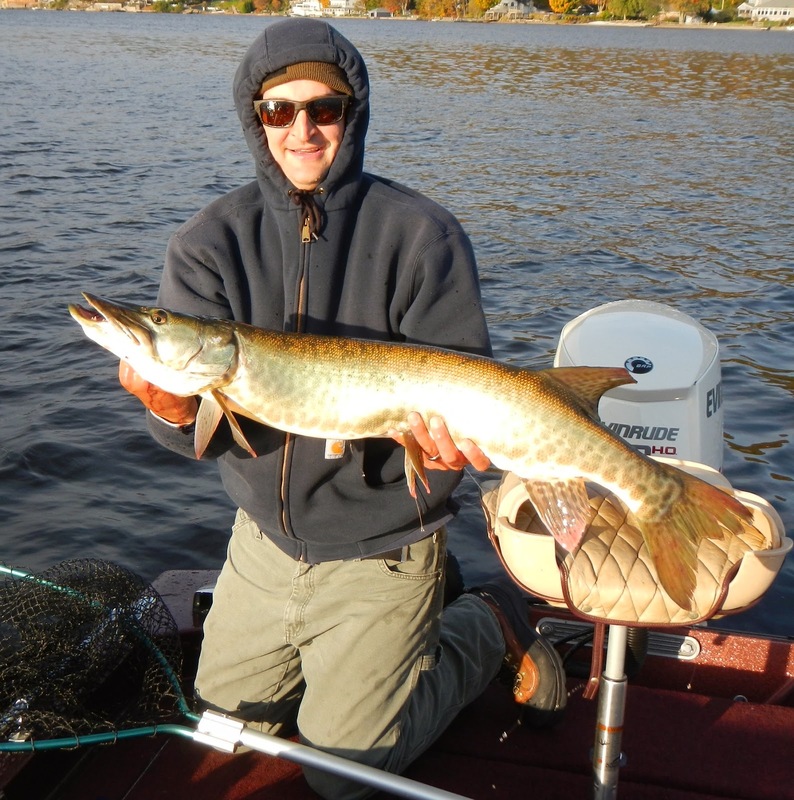 This was Paul's first time musky fishing, but he was casting big swimbaits like a pro in no time. But, more than the fishing, it was very nice to catch-up with an old friend and have good conversation all day. Right about noon, a nice fish came up to eat my Amma Bamma, and all hell broke loose. I'm going to keep the details of what followed between Paul and I, but I'm just going to say this was the most amazing fight I have ever had with a musky and it is nothing short of a miracle that it wound-up in the net. 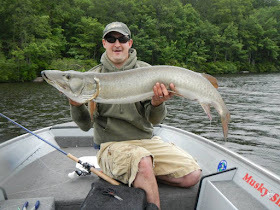 For Paul's first time netting a musky, he could not have done a better job. Thank you for that, Paul! The fish seemed to go quiet after that, and although we moved a couple more, none seemed to want to eat. Still, every second on the water was thoroughly enjoyed by us both. Paul had to split around 3pm, but the weather was perfect and I decided to stick it out a few more hours. I didn't move another fish until about 7:30pm. It was a little guy, but with light drizzle and clouds coming in, I though the fish might start chewing. Unfortunately, Mother Nature unleashed hell, and by 8:30pm I was on my way home. It's been awhile since I've had the energy, time and peace of mind to fish a 14-hour day, but the good company earlier in the morning, the nice fish we caught, and a couple other surprises while on the water made me want to savor every last minute of this day.